I have an old honda crx first generation model 1987 engine imported from Japan stock engine. The car is very light can beat anything from standstil the car has been lightned to less than 900 lbs. I have shocked many car lovers with the performance of my crx. I CALL IT V8 KILLER IT KILLS IMPALA SS 6.0. FROM STANDSTILL TO OVER 130 miles per hour in 20 sec. @ lamboboy: I wouldn't doubt it. I love the sound of a Honda V-Tech inline 4, it has a really aggressive growl. The japanese civic looked the best. That Mugen Civic sedan looks awesome. This looks more like a Mitsubishi Lancer EVO than a Honda. How many units were built? Gives me the creeps, in a good way, though. The mugen rr advanced concept had slightly more power (260 I think) and is on video doing tsukuba in the 1'04 range. Thats probably what people are thinking of with faster tsukuba times... Its essentially the same car just an evolution of the design. I thought the Tsukuba time for this car was actually faster than that above? Very ligth weight for it\'s class. Would be a good base for even stronger engines. if they put on a turbo, 4x4 to the civic... then it wouldnt be a civic. the civic has naturally been a n/a FF powered car. The Civic (wagon) had 4wd in \'84 and \"Real Time AWD\" in \'87. I think a awd turbo Civic would be a good idea. Take the engine from the Acura RDX (2.3 turbo...upgraded to 280+hp), the SH-AWD system, make a WRX/EVO rival. The ring time has been deleted. The Millbrook and Bedford times are genuine but not sure about Tsukuba. unless you live in canada?? Not even worth talking about unless you live in canada, next. Unlikely, look at all the laptimes. and maybe that laptime was correct, just ad an 8 instead of the 7. and it could be possible, imean just look at the Tsukuba time. Is there a shortcut at the Nordschleife or something? Beating an ACR by 7 seconds with only 237hp and weighing 2600+ pounds....WOW! that tsukuba time is awfully hard to believe, its definetly possible, but still awfully hard to believe! 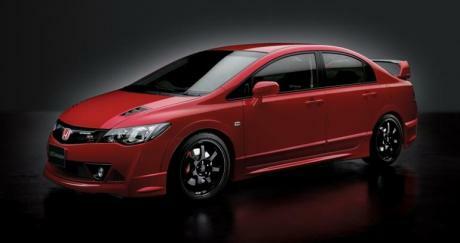 Of course its faster than the cl1 accord euro R. Even the stock FD2 Type-R would be way faster than that. quick car but is it faster than a cl1 accord euro r? Honda needs to make this wicked machine available to the north American market. I would trade in my 06 si in an instant!! that lap is really amazing for a car that has 240bhp, well its really amazing for ANY car its only 2 seconds of a Mclaren F1 and a ZO6 wwhich is incredible.